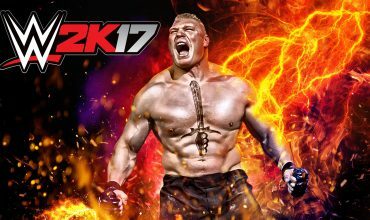 This article originally appeared as an impressions piece on October 13, but has since been removed and updated with my final thoughts in this full review here. Well, you can all rest assured that Hangar 13’s Mafia III is a lengthy experience because, as I mentioned in my initial impressions, it took me some 10 hours to pass the introductory stages and a whole lot more to complete it. 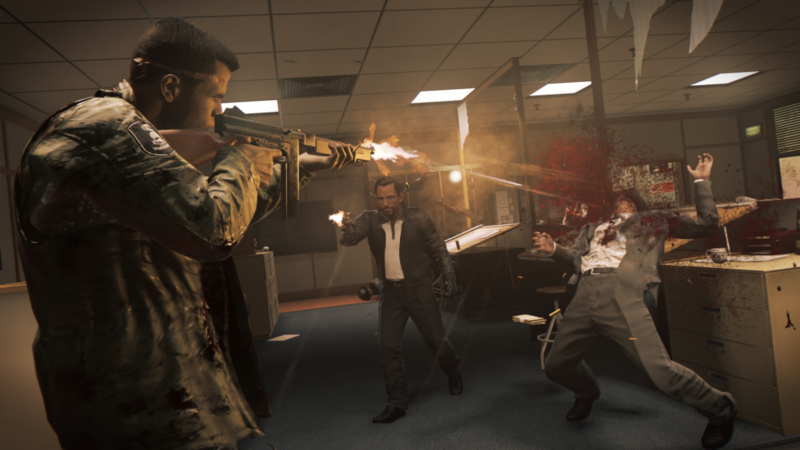 I mention this because I know of players who are always on the look out for a good time-sink kind of game, and I must say that despite some qualms, Mafia III certainly makes for a fine candidate for your time. Mafia III has its issues, but overall it’s a solid alternative to the likes of Grand Theft Auto, just not quite as impressive. There’s a fair bit of this. Now to begin, I know I’ve said it time and time again that I knew I was going to love the 1960s soundtrack, and past me was right: I do. 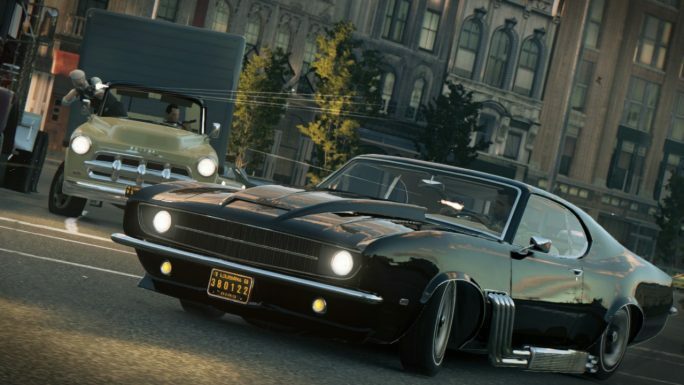 The works of Johnny Cash, Elvis, The Rolling Stones and Credence Clearwater Revival, just to name a few, are used fantastically throughout Mafia III, whether it be playing through the car radio or during cutscenes. In fact, my personal favourite of the entire game was the use of the Stones’ “Paint it Black” during one of the opening inciting incidents when the Italians turn on protagonist Lincoln Clay and murder his Black Mob family, and so beginning his quest for revenge. Having said that though, songs often repeat and make it feel like the inhabitants of New Bordeaux only have access to maybe 10-15 songs at their local radio station, so perhaps many of you will be sick of hearing “House of the Rising Sun” by the time you finish the game. As for me, while I thought I might grow tired of the 1960s tunes, I was still singing along by the end. 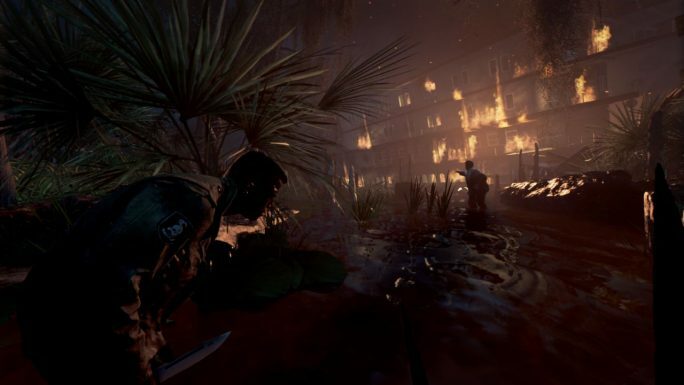 Speaking just before about the use of “Paint it Black”, one of Mafia III’s biggest strengths is its story. African American Vietnam War veteran Lincoln Clay’s rage fuelled revenge quest against the mafia is a compelling one, and one that doesn’t shy away from dealing with some dark themes. The thematic through-line deals particularly with the prevalence of racism in the 1960s and the psychological toll of vengeance, with Lincoln and his allies all struggling to fill the void in their souls with violence and bloodshed. 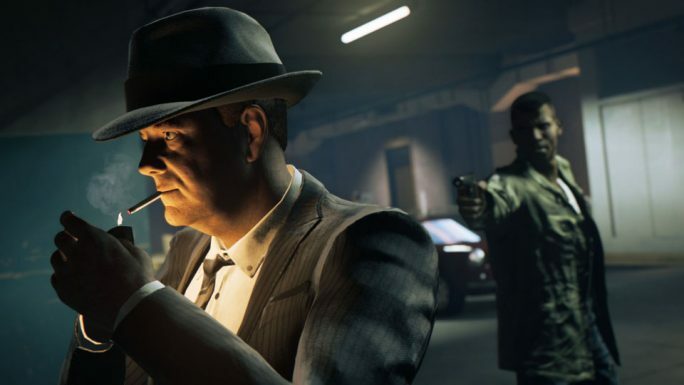 Though there’s a certain hypocrisy to Mafia III’s attitude to portraying the racism of the time, with the developers disclaiming they felt it would be more offensive to not include it while still doing things like associating the alcoholic Irish character with the colour green, I do commend Hangar 13’s conviction for not ignoring such a dark part of the world’s history. It would have been easy to gloss over such things, and in choosing not to shy away from it it’s brought forth a AAA game that breaks up the plethora of white, male video game heroes with a conflicted African American war veteran as a protagonist, so I count that as a good thing. Mafia III’s strong narrative is achieved through some pretty amazing animation and voice work, as well as a solid script. Although a vast majority of the characters fit some common crime story archetypes, the writing and acting quality make the cutscenes more engaging and just like they’d belong in a gangster film. I wish I could say the same level of polish we see in cutscenes was applied to the actual game itself. 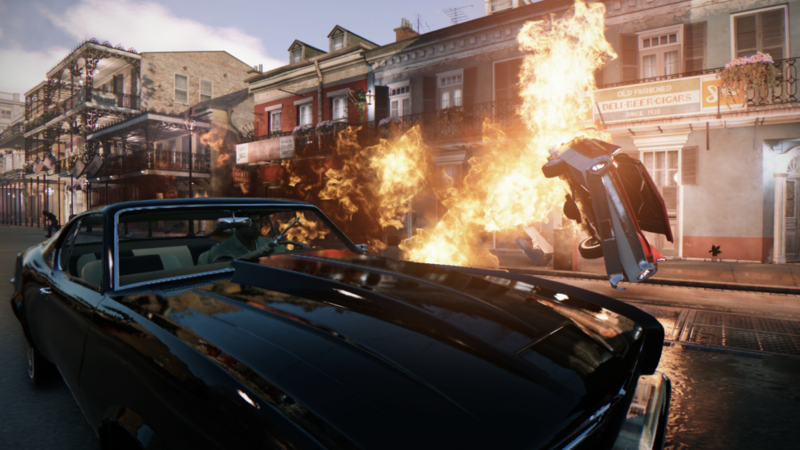 Visually, Mafia III is both beautiful and hideous at the same time. Character models, cars, objects and terrain all look stunning up close, with things like skin and brick showcasing a lot of detail. New Bordeaux is undeniably a gorgeous landscape, and very refreshing compared to the majority of New York/Los Angeles clones that are out there. However, once driving out in the open New Bordeaux map the draw distance feels incredibly short, with cars, people, street lamps and other finer details noticeably materialising in from the foggy middle distance. We aren’t talking No Man’s Sky level of horrendous pop-in, but enough for there to be a striking difference between the pretty immediate surroundings and the washed out city skyline. And the draw distance is even worse in the rear-view mirrors of cars, shown at the top of the screen whenever Lincoln is behind the wheel. It looks as though a giant wall of nothing is chasing him, disintegrating everything in its path, as though we’re all in the Matrix and it was being deleted before our very eyes. Interior scenes or dense suburban areas look great though. I also encountered a few glitches during my time, although nothing as game breaking as others originally reported (most likely thanks to several patches fixing them). I’ve seen shadows start flickering in and out, and one time a car I needed to drive for a mission actually wouldn’t start until I got in and out of it to try again. I’ve also seen Lincoln’s reflection in mirrors either freeze or fail to appear at all like he was some kind of Louisiana vampire. Vampires in Louisiana, yeah right, next thing you tell me his name is Bill. 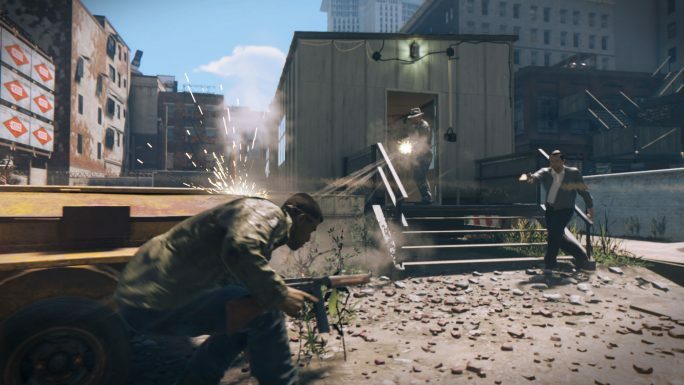 On the gameplay front, Mafia III is on the whole pretty solid, albeit uninspired. Combat is fun, following many of the same mechanics as your average third person cover shooter. There’s a wide variety of firearms, from civilian pistols to WWII grade military weapons, all of which hit with a satisfying punch. There’s an aim-assist feature that can be set to low, high or off, but even when set to high still doesn’t feel like an unfair advantage. There’s also some stealth mechanics, mainly consisting of sticking to cover, brutal (and I mean brutal) takedowns and whistling to lead guards to their deaths. 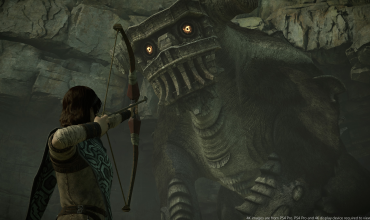 It’s very much a case of “ain’t broke, don’t fix it” with regards to open world gameplay. Also, by assigning your underbosses’ to districts you take over, you unlock “favours”, abilities that allow you to do things like call in a car when stranded, send for backup in a fight or even get the police off your tail. Favours do certainly vary up the combat a little, but some of them also directly contradict themselves. For example, why would I need to learn how to silently steal a car when an earlier upgrade let’s me summon one to my location for free? But the biggest criticism I have with regards to gameplay is that the driving feels sluggish. The most common cars handle like lawnmowers, and the brakes seem to only have a “slam them” setting. There’s a “simulated” driving option that’s supposed to make cars feel more realistic, but I honestly couldn’t tell the difference. I slowly got used to it, and some of the nicer cars do handle a little better, but the unwieldiness makes any situation that requires some decent driving (like, say, being chased by cops) a little more frustrating than it ought to be. However, the way the in-game GPS shows street-sign like prompts to direct you rather than requiring constant glances at the mini-map is a godsend, allowing me to not lose my way while still taking in the city I’m driving through. One of the game’s biggest downfalls is that the activities that split up Mafia III’s story are quite repetitive, so much so that it was starting to hit me during my 10 hour introductory chunk. The formula consists of drawing out the higher-ups in the mafia by destroying their rackets or business operations so one of Lincoln’s underbosses can take their place. These missions aren’t side quests, more a checklist of activities required to draw out a boss before leading on to the next story mission. They range from things like killing enforcers, stealing money/supplies, destroying stockpiles and rescuing allies. The idea being Lincoln is hitting the mafia economically as well as violently. The thing is, really what all these missions boil down to is “go to a place, kill everyone there.” Now there’s nothing wrong with that as a mission in and of itself since the combat is fun, especially once you have more “favours” unlocked; but like I said, they begin to feel samey quickly. Really you just choose to either quietly pick everyone off or just go in guns blazing, and there’s only so many ways to do that. The bigger story missions keep things feeling fresh, with massive gunfights, epic set pieces and pushing the narrative forward, but I’d just hoped for a bit more variety in the racket-destroying front. Maybe this wouldn’t happen, Lincoln, if you weren’t doing the same thing so often. But on the whole, Mafia III was fun to play, with a strong story that culminates in several different endings, encouraging replayability. However the game’s repetition works directly against that prospect and this, combined with some technical issues and gameplay woes, do let the overall experience down somewhat. Still worth a look if you’re a fan of open world crime sims, gangster movies and the sweet tunes of the 1960s. Mafia III isn't a Grand Theft Auto killer, but it's certainly a fresh breath of air in the open world crime sim genre. Its story of Lincoln Clay seeking revenge on the entire Italian Mafia is solid, however it is sadly let down by some uninspiring, repetitious missions. Call Tom a Fortunate Son on Twitter @tomdheath and don’t forget to follow @load_screen and like us on Facebook.